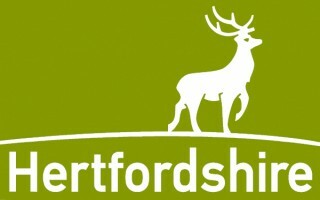 Hertfordshire County Council had a historically high-performing fostering services with ‘Outstanding’ outcomes for children according to an Ofsted report in 2012. However, growing demand for placements and a falling recruitment rate for foster carers was putting pressure on the service. Independent fostering agencies were taking the greater market share of foster carers and staff engagement and performance at Hertfordshire was falling. The council needed to disrupt this downward trend to maintain its high performance. This work pulled our staff together. It is enabling us to work as a single team and achieve consensus which had perhaps been difficult before. The insight was fascinating and we now all share a new and common view of our ‘customers’…the outcomes would not have been possible though had IMPOWER not gelled so well with the team – all 55 of them. IMPOWER brought a new perspective to the challenge, working with fostering service staff to develop a shared view of the customer and their values. Our inclusive approach brought disparate teams within the council together and unlocked the energy of staff to come up with improvements. completed a performance review of each service function. We then brought these insights together and checked them with teams. The insights enabled us to create a framework for continuous improvement, agreeing what the improvement opportunities were and co-producing a values-based, targeted response with staff. We then implemented the ideas through the teams and foster carers. IMPOWER’s approach enabled the council to create the conditions for self-sustaining innovation and delivery of change, resulting in a transformation of customer relationships, service and financial outcomes. We improved conversion rates of those registering an interest in fostering to actually becoming a carer from 4 per cent to 10 per cent, while stabilising and reducing de-registration rates. The values-based framework for continuous improvement was embedded within the fostering team and staff became dramatically more invested in the service. Staff engagement rose from 44 per cent to 64 per cent. The project also introduced new management information disciplines and systems, alongside a focus on performance. The service gained 76 new foster carers over two years to 2014 and savings in excess of £1.5million.